There’s another account of the etymology of sabotage that’s certainly the most popular one on the Internet. It posits that the word comes from the practice of disgruntled workers causing work stoppages by throwing their wooden shoes into the looms of 15th-century Dutch textile mills … or into the machinery of 19th-century French factories. Perhaps this did happen from time to time, but many historians and etymologists reject the theory for a variety of reasons. Personally, it does seem unlikely that a poor peasant would throw his shoes into a machine instead of finding a more subtle and less incriminating way to break it. Nevertheless, it is true that anarchists and radical labor unions adopted the sabot as one of their symbols, perhaps drawing on the popular myth of the machine of industry being ground to a halt by the simple wooden shoe of an oppressed worker. “Sabotage” entered the English lexicon in 1910, probably in connection with the French railway strike of that year. During the strike, railway workers walked off the job after the government refused to respond to their demands. After the government drafted the strikers into the French army and ordered them back to the railroads, they “sabotaged” the system by bungling everything: sidetracking perishable goods so that they spoiled in the railcars or rerouting trains to the wrong destinations. Incidentally, their sabotage also involved yet another meaning of the word sabot: the iron devices placed on the rails that act as a kind of brake to slow trains as they approach a descent. 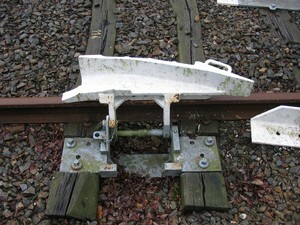 Apparently, some railway strikers removed or loosened these sabots, causing trains to derail. This linguistic connection is coincidental, though; while it might help explain the entry of sabotage into our language, it doesn’t explain the etymology of the French word which, by 1910, had had the meaning of “monkeywrenching” for quite some time. So, after all of that, you’re probably wondering where Italian bread comes into the picture? Well, I’m taking us off on a tangent with this, but it’s still interesting. The French word sabot comes from the Old French çabot, which itself is a combination of the Old French savate and bot (a masculine variant of botte, meaning “boot”). Savate comes from the Old Provençal sabata, by way of the Turkish zabata, which itself derives from the Arabic sabbat (meaning “sandal”). 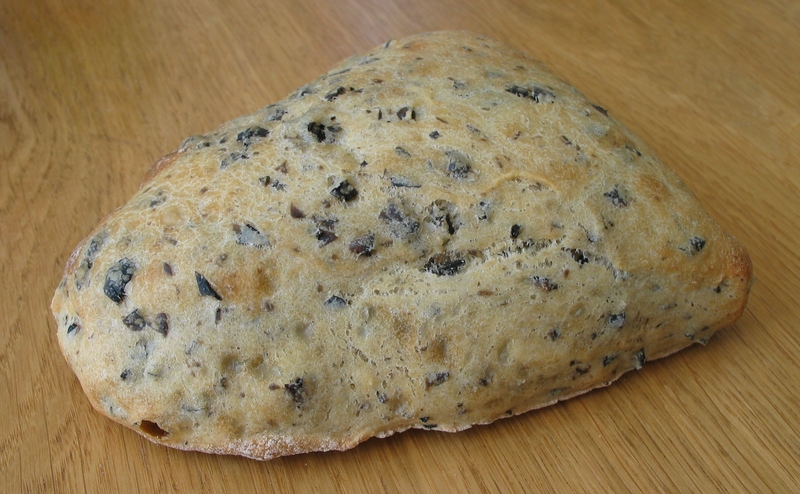 This is also the origin of the Spanish word for shoe, zapato, and the Italian word for a slipper … ciabatta which, as you all well know, is also a kind of Italian flatbread that makes a mighty tasty sandwich. See, “sabotage” (Online Etymology Dictionary), “sabotage” (Wikipedia), “sabot” (Wiktionary). Monsieur Bell, that is just fascinating, and, as usual a very well written post. Thank you. Thanks so much for the compliment! This was a really fun one to write. We’re off to Oxford and London tomorrow, but back in Paris for the 4th and an Independence Day themed party with our French friends: bring something “American” and come dressed like an “American.” That should make for good blog material next week! You’re welcome. Sounds like a great party for the 4th! Hope there will be some pics with that post! I missed the 4th for 11 years in Ireland (we used to try to have a barbecue for our Irish friends but gave up because it rains every year:-( and we’re going to try the same thing here for our neighbours now that we’re in La Charente, in spite of still being surrounded by boxes. Enjoy London and Oxford! Awesome post! The conclusion, which takes us through a thrilling ethymological journey, reminds me of the father in the movie “My big, fat, Greek wedding”: “Give me a word, any word, and I will show you it comes from Greek… the greatest civilization!”… hilarious film by the way! Happy 4th in Paris! My workday is almost over, pfew! Ah, thanks for reminding me of that! I just recounted that scene in the car when the father explains how “kimono” is a Greek word! Michel has never seen the film. I’ll have to rent it when we’re back in the US later this summer. Thanks for the Fourth of July greetings! I hope you had a great Fourth as well! We had a good, quiet 4th just the two of us, it was nice. Take care!